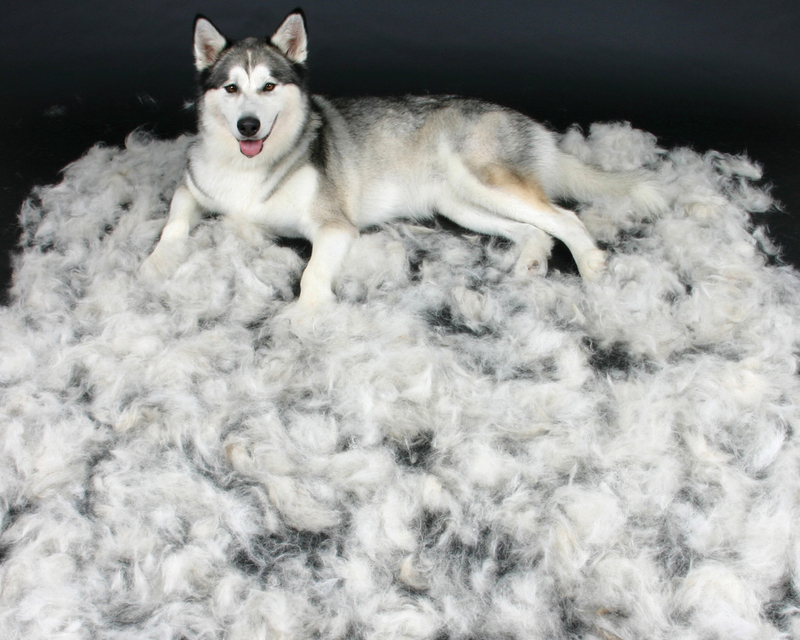 Home › Animals › Furminators rule! Ziggy has a very short coat, but Fluffy has semi-long fur and an incredibly thick undercoat. I once took Fluffy to the vet because I thought he had dandruff and the vet told me his tongue could not get through his unusually thick coat to groom and clean himself (which also spreads oils and conditions the fur and skin) and so his skin was dry and flaking. 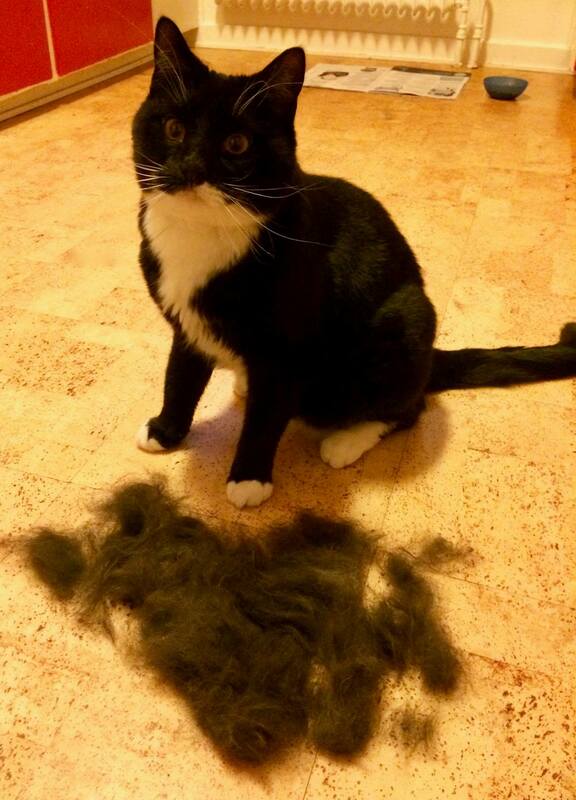 Since then I have brushed him thoroughly every second day with a regular brush from the petshop. I do Ziggy at the same time because he always wants to get in on the act and they both love being groomed. Lately Fluffy’s undercoat has become a bit matted and using my usual brush did not work to get through it (plus it seemed to be pulling at the knots and hurting him), so I decided to try something else. 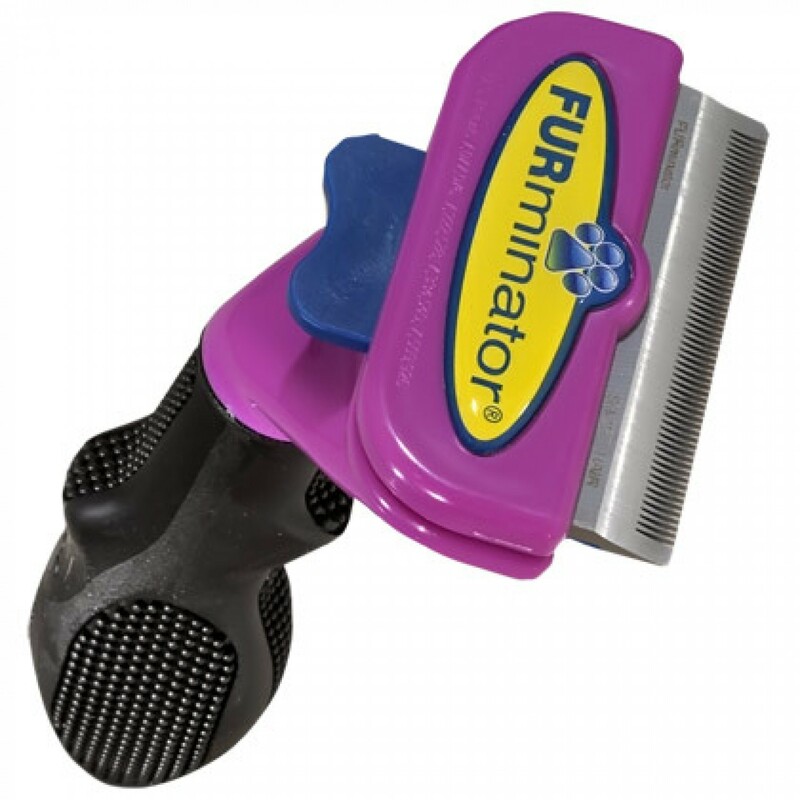 I had a closer look at Furminators. 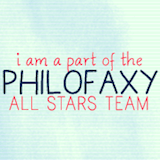 I have been seeing them for a while, and they have been recommended to me several times. For some reason I though they were battery operated groomers so I avoided them because Fluffy hates noise. Over the weekend I had a closer look and actually asked some questions about them for the first time. Turns out they are just a regular brush/comb – not mechanised at all. I decided to bite the bullet and get one…. WOW! This is Fluffy after 3 minutes of grooming with the Furminator. Look how small and sleek he looks and how much undercoat it removed. In just three minutes. Surprisingly, it took about the same amount of undercoat from Ziggy even though he has short fur. Here is the regular brush I use to the left. It is just a regular metal brush and I was looking to replace it as it is old and the bristles were beginning to bend and rust. It has been brilliant for smoothing and grooming the top coat but did not make much of a dent in the undercoat. 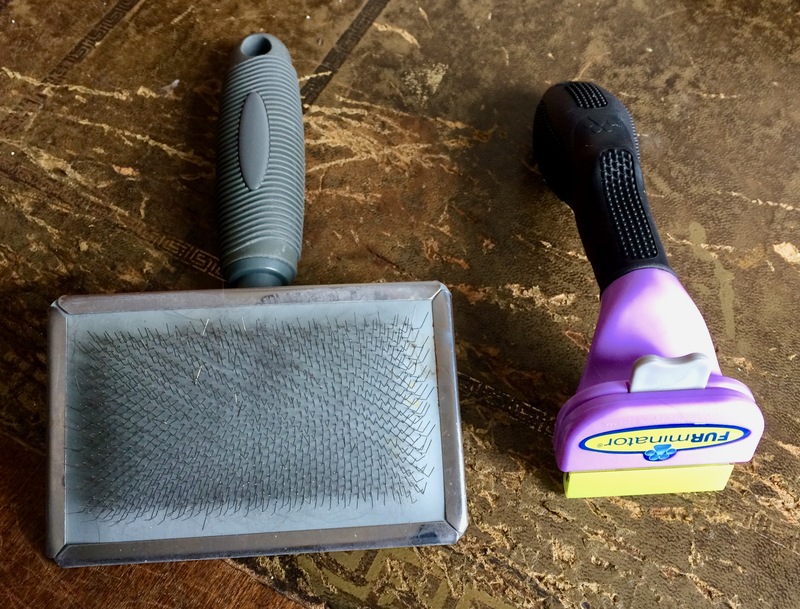 On the right is the Furminator. I bought the one for longer hair. It worked fine on both my semi-long and short haired cats. It gets right under the top coat and takes away all the undercoat that has been shed but has not been able to be groomed or brushed away. I am really sorry I waited so long because this thing really removes fur and leaves them shiny. It is more expensive than a regular brush but well worth it I think. As usual I just bought this at my regular shop at full price so this is not an advert. Furminator has been my cat’s best friend for two years. She loves it when I use it (once a week) and it really helps keeping her semi long fur beautiful. I wish I had tried one sooner. What a difference it has made!